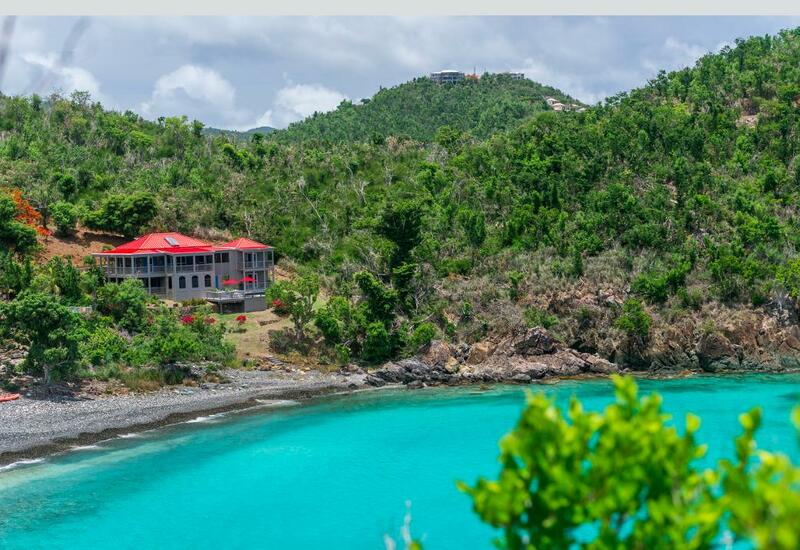 ON THE ROCKS is of incomparable value, located in an unbeatable setting on the BEACH in prestigious Klein Bay, with swimming, snorkeling & kayaking just steps away! 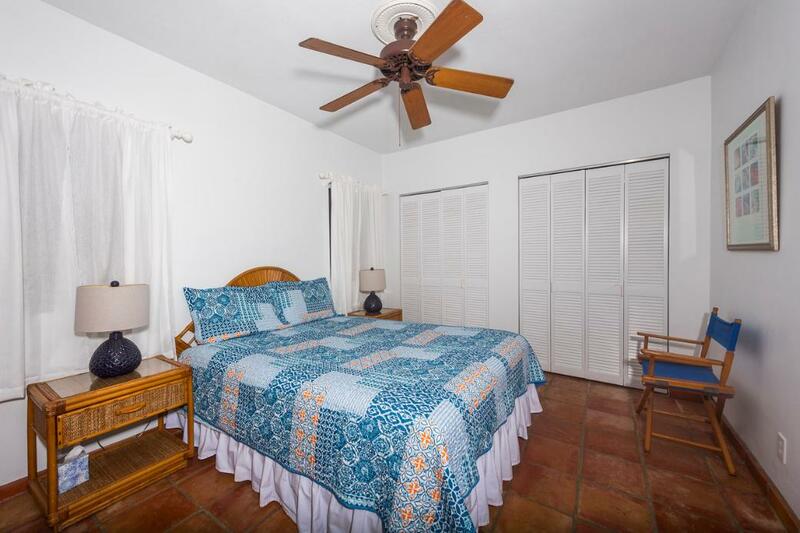 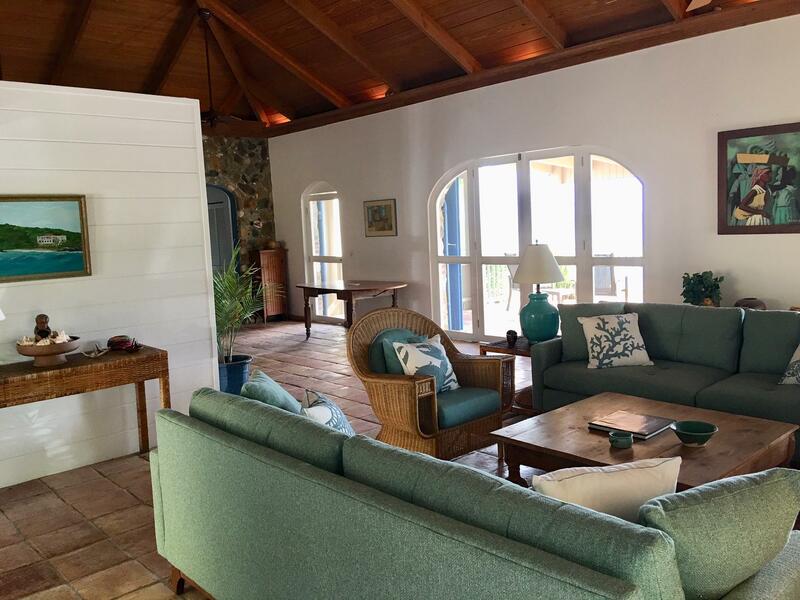 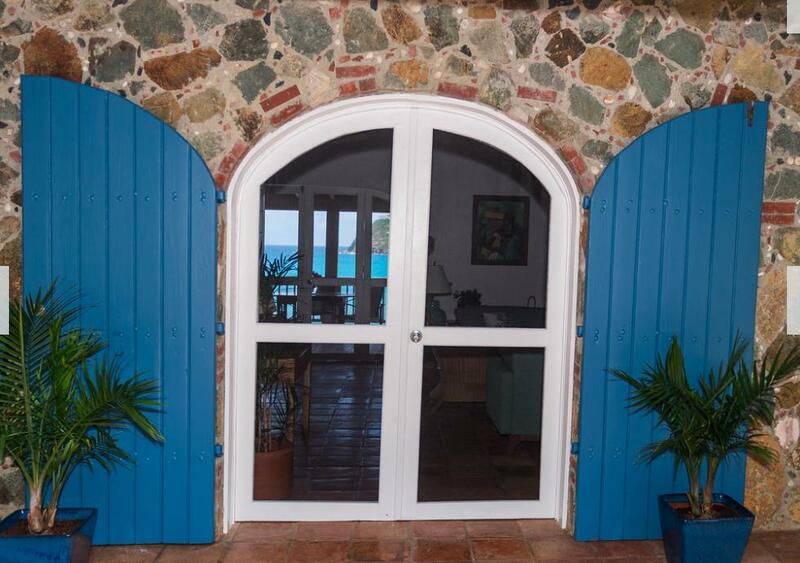 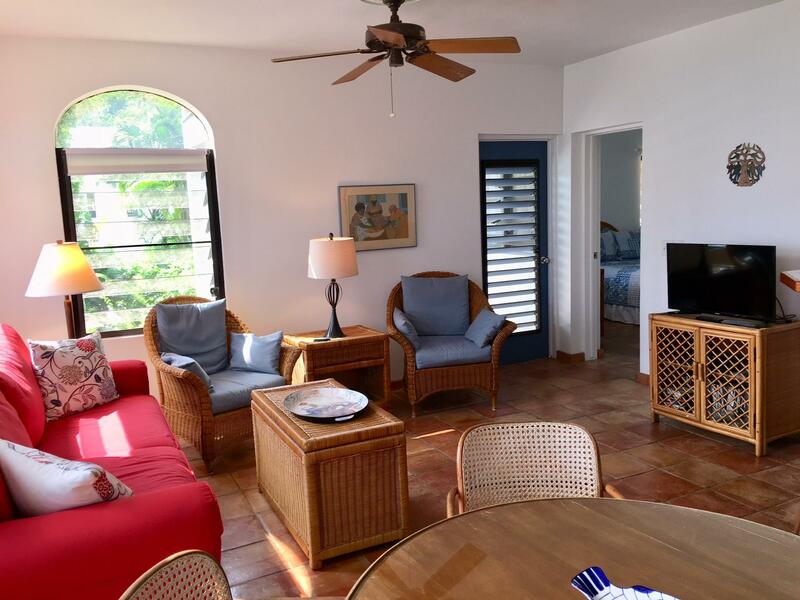 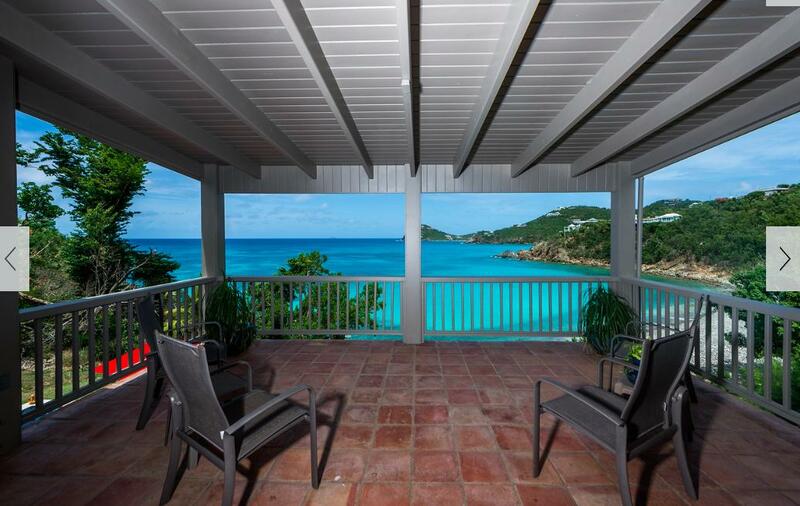 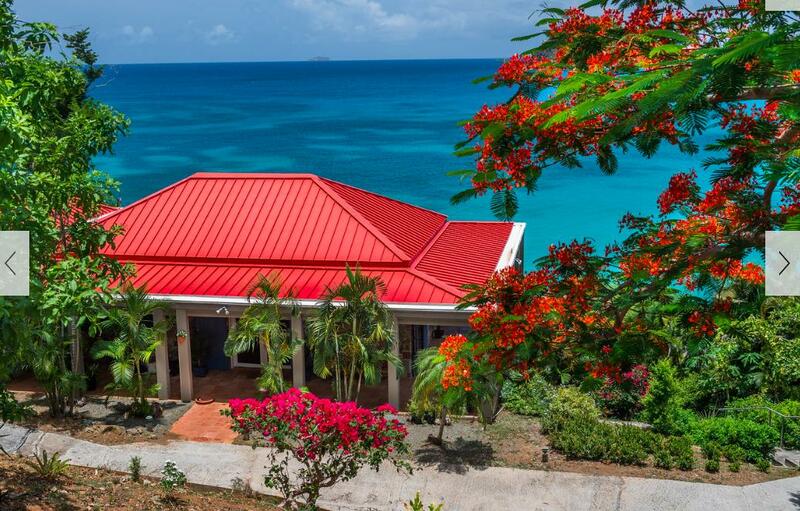 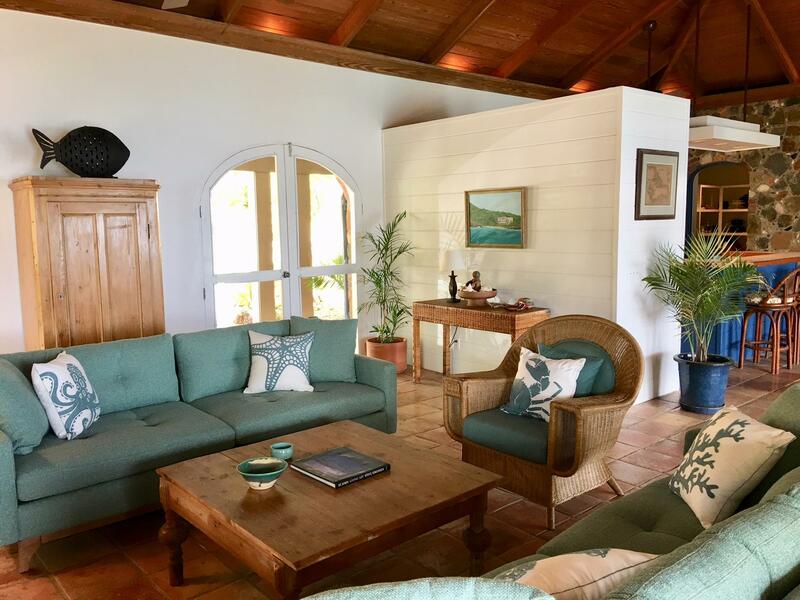 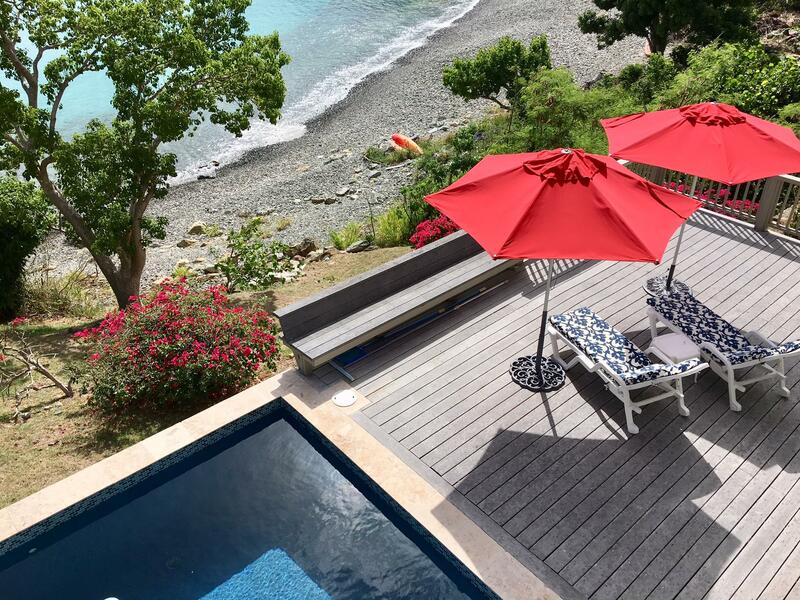 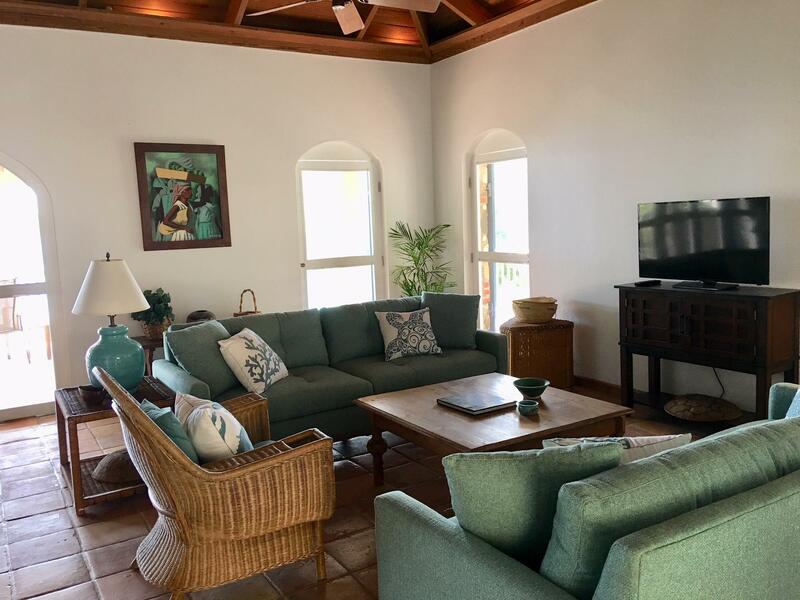 As you enter, you are immediately drawn to the magnificent turquoise views of Rendezvous Bay & the idyllic sights & sounds of the surf from every room. 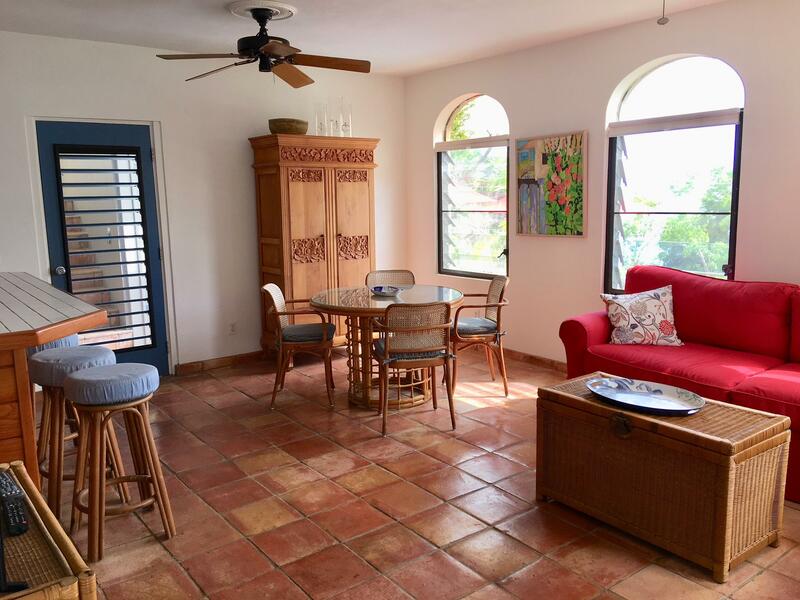 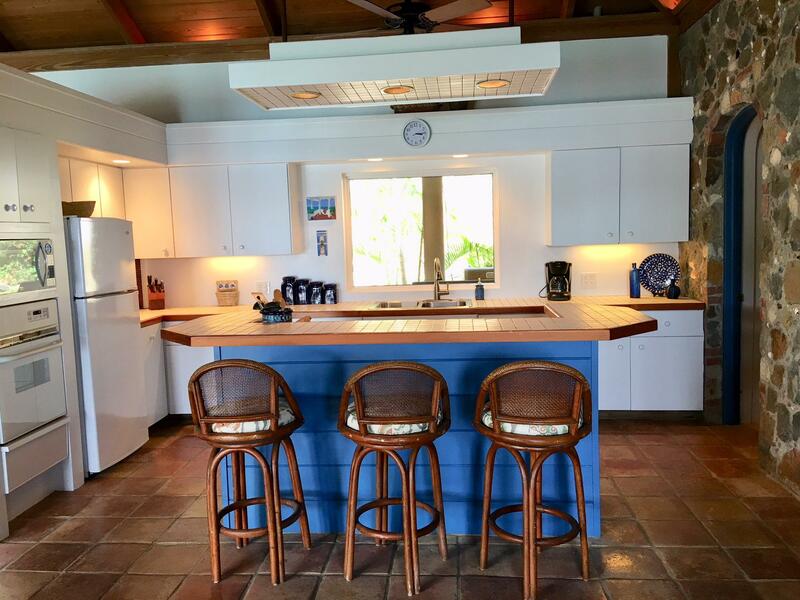 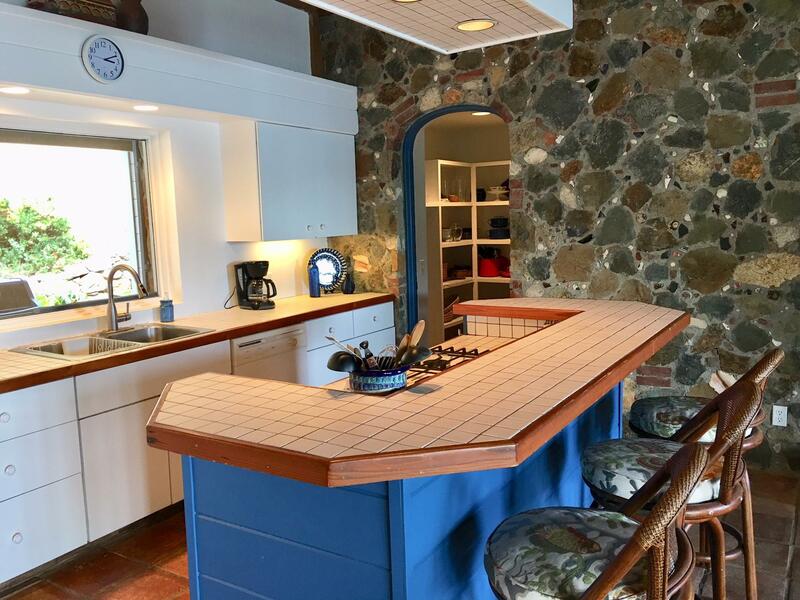 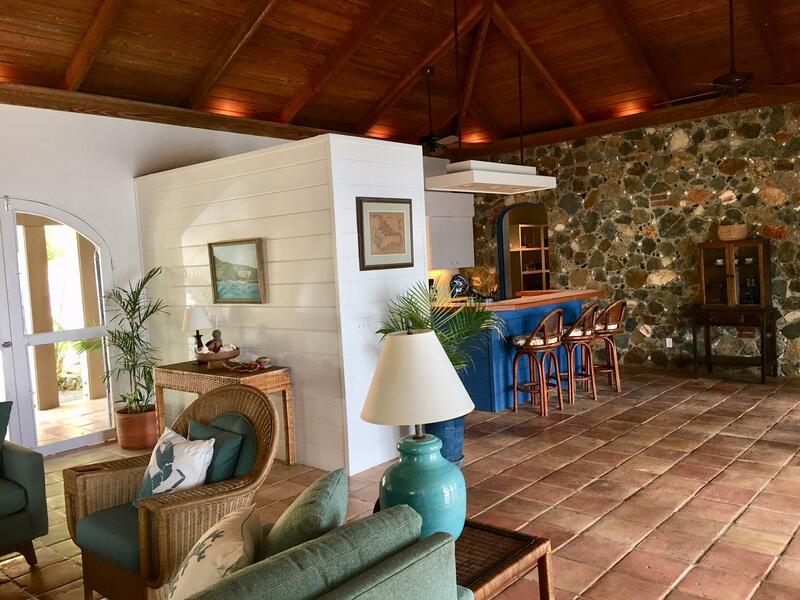 Stone walls & arched openings adorn the open concept living space which includes a great room, center island kitchen w/walk-in pantry & dining area, opening onto the huge wrap-around veranda - perfect for entertaining! 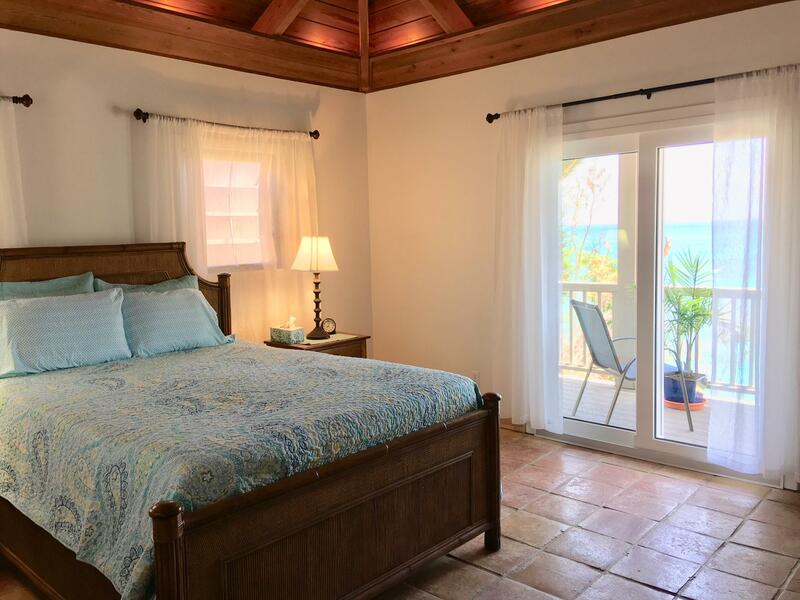 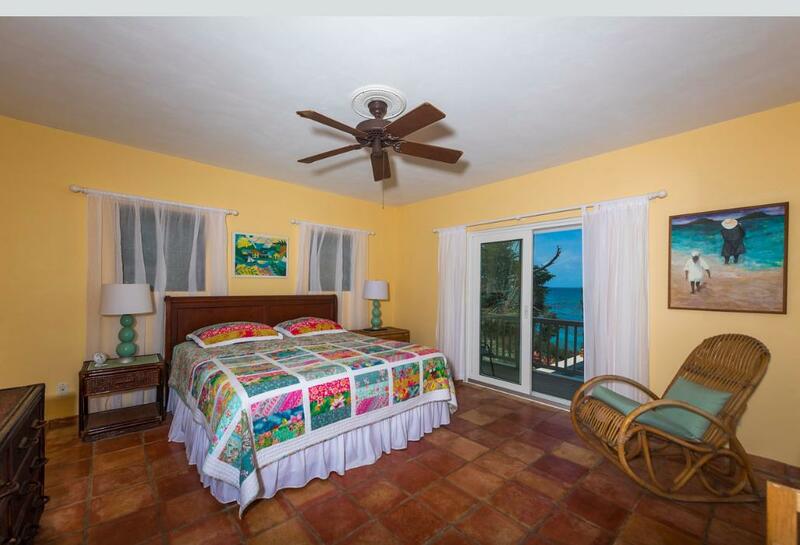 The private master suite has A/C, laundry & a balcony. 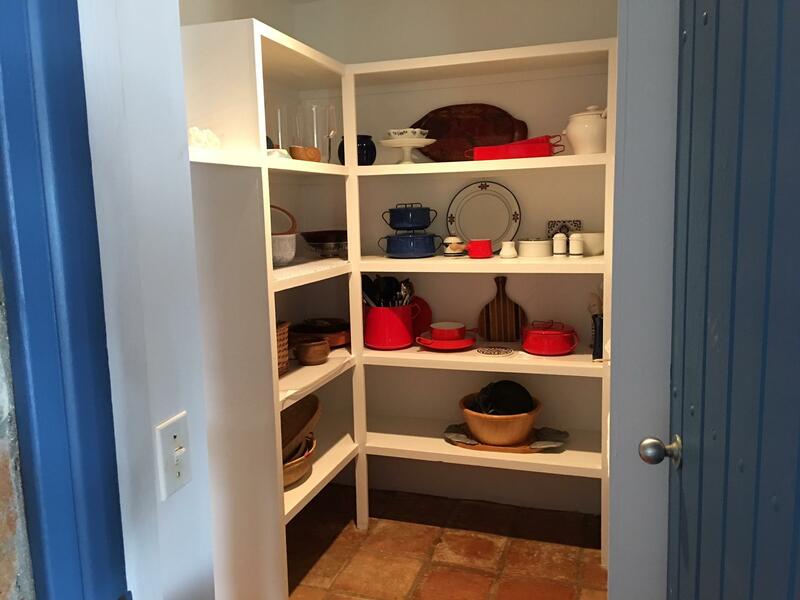 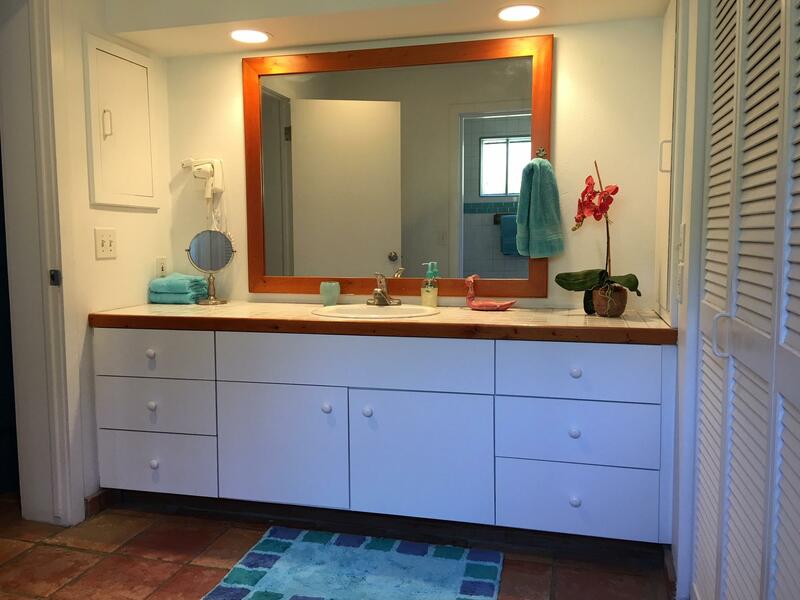 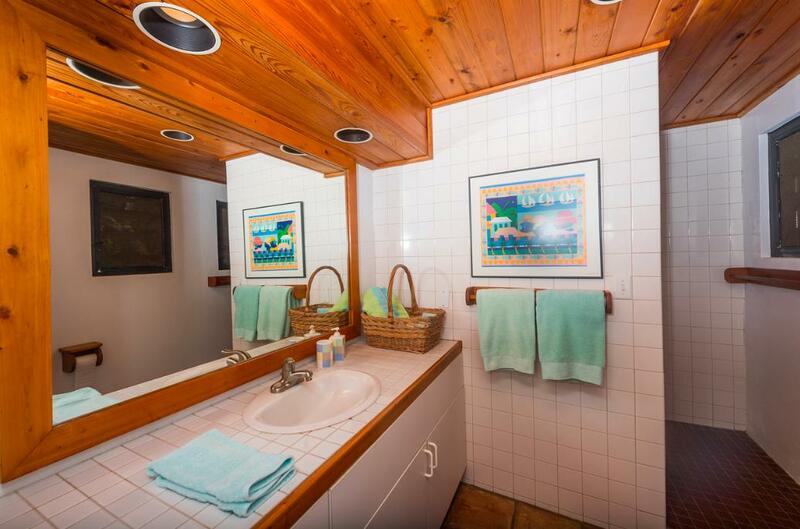 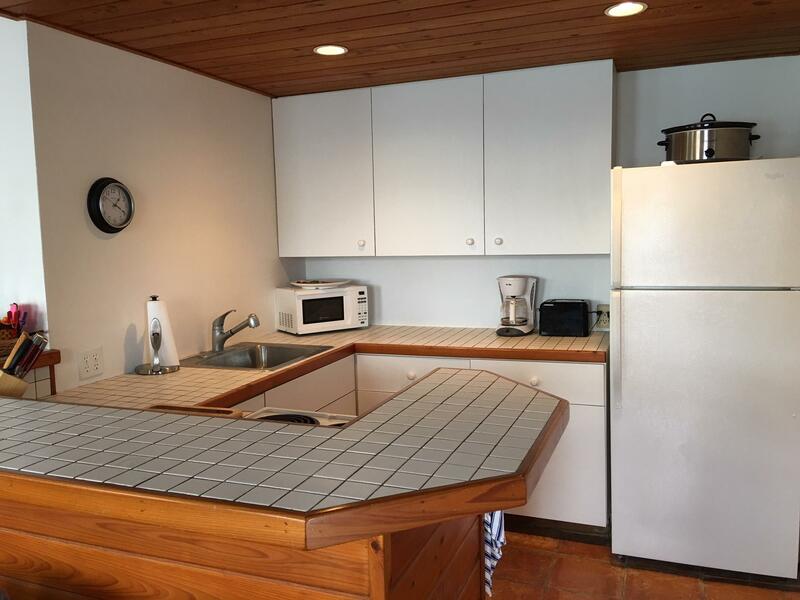 A full 1 bd apartment w/separate entry, plus a guest bd/bath & an extra lg. 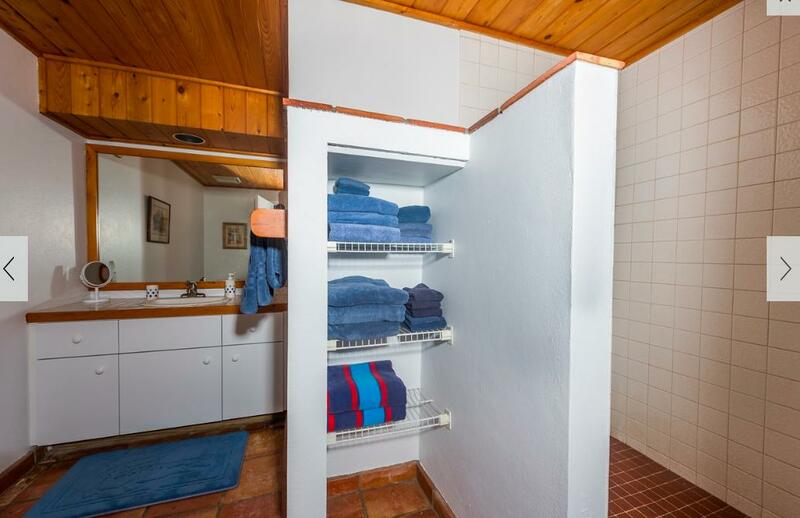 workroom are on the pool level. 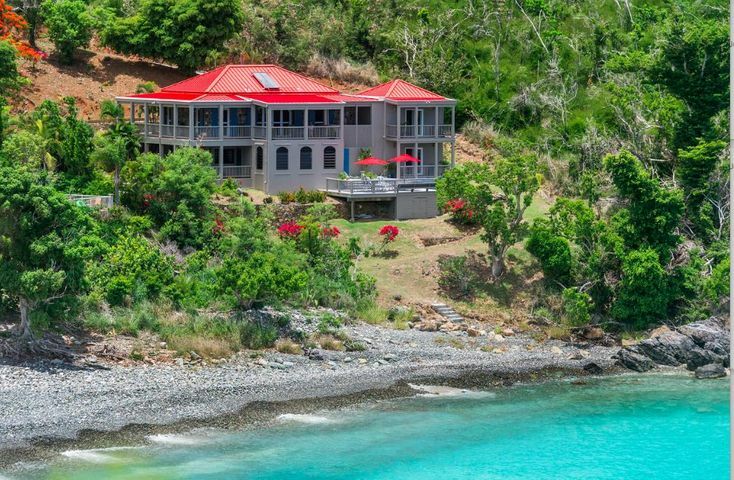 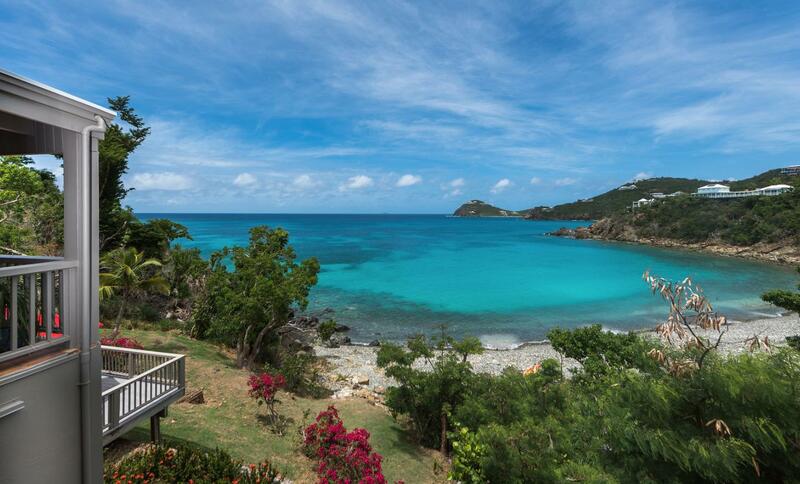 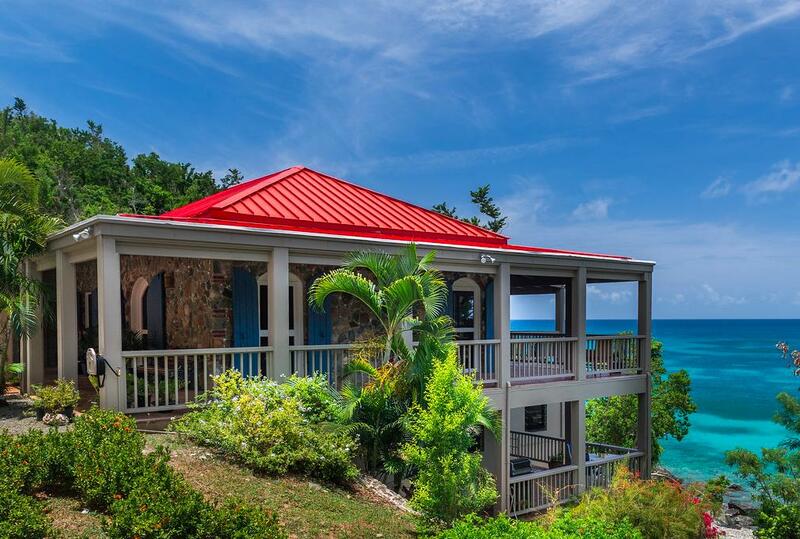 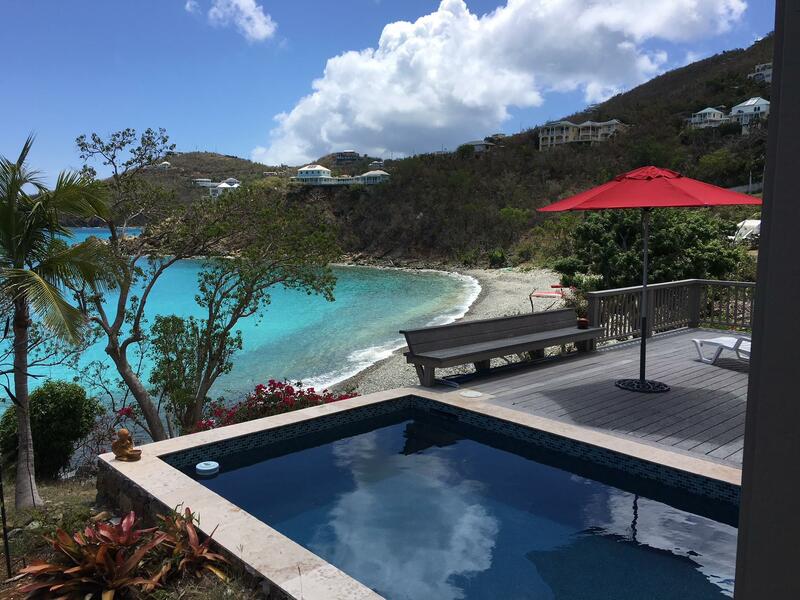 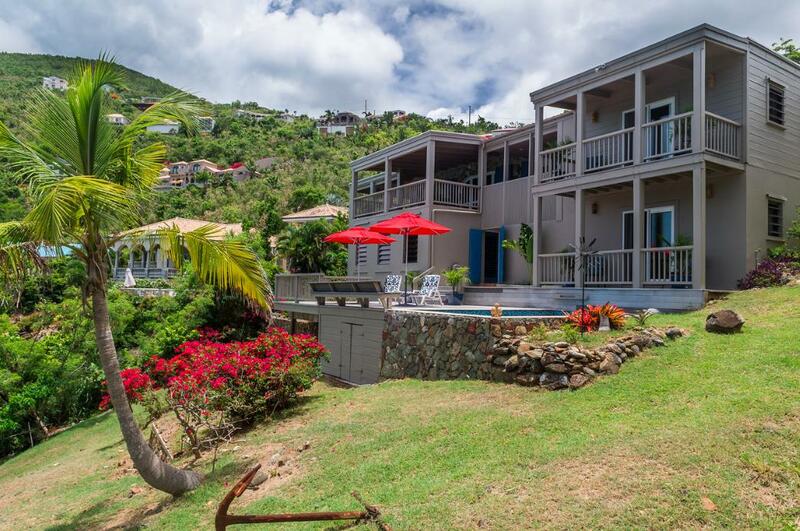 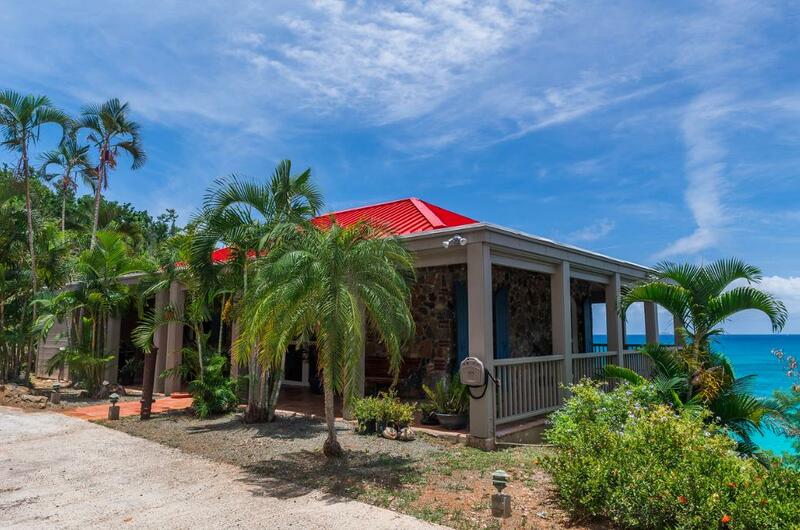 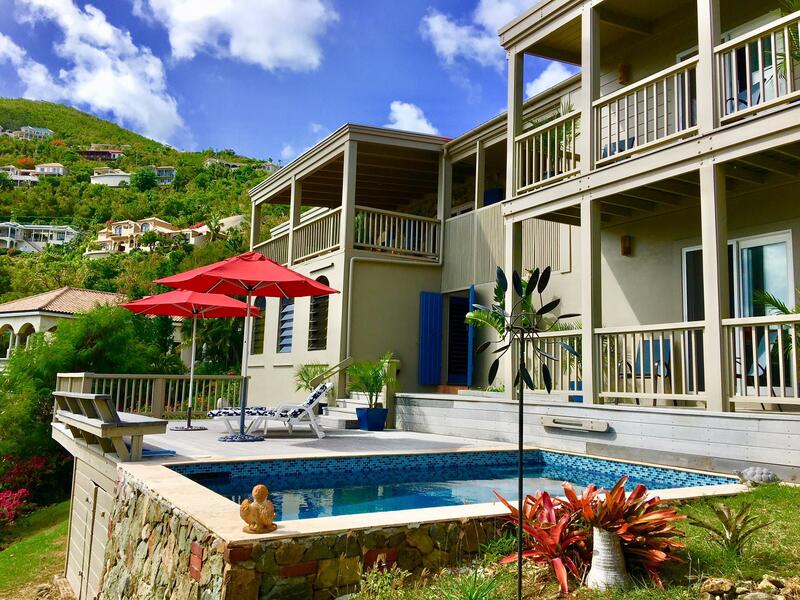 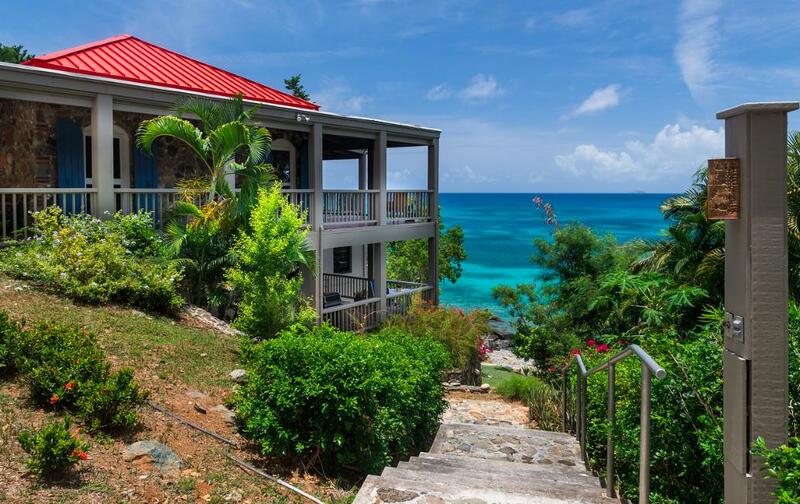 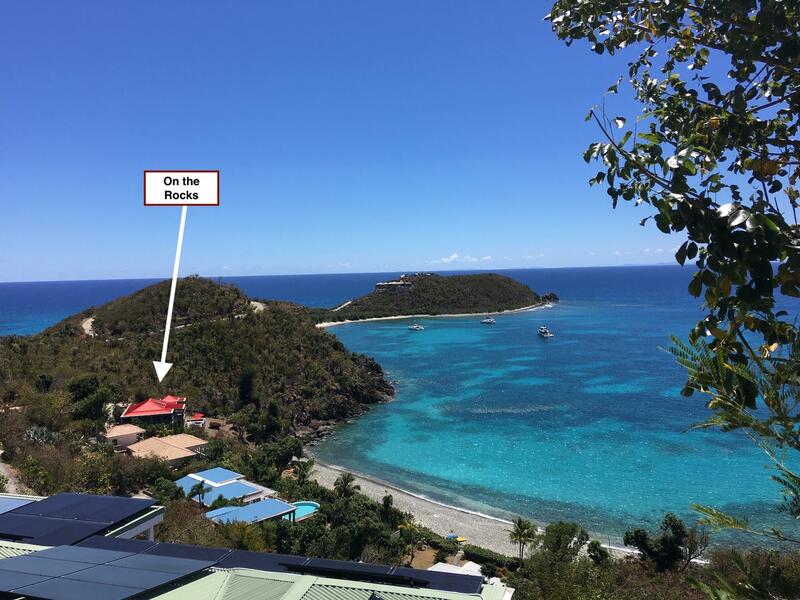 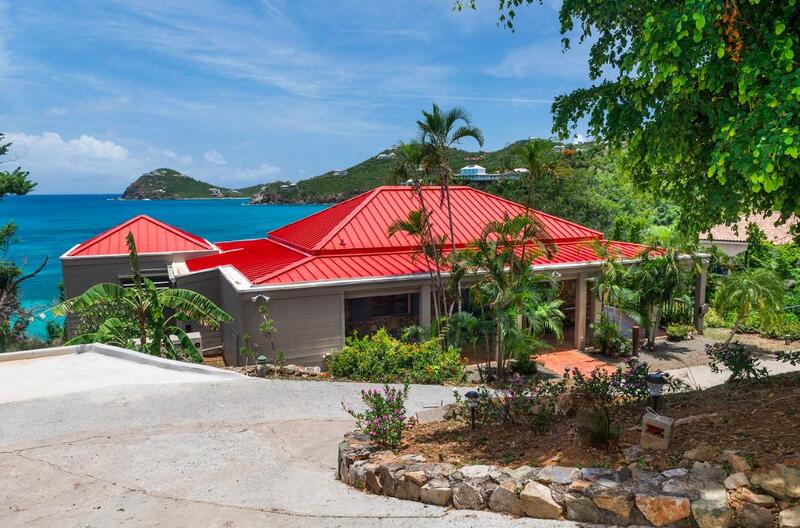 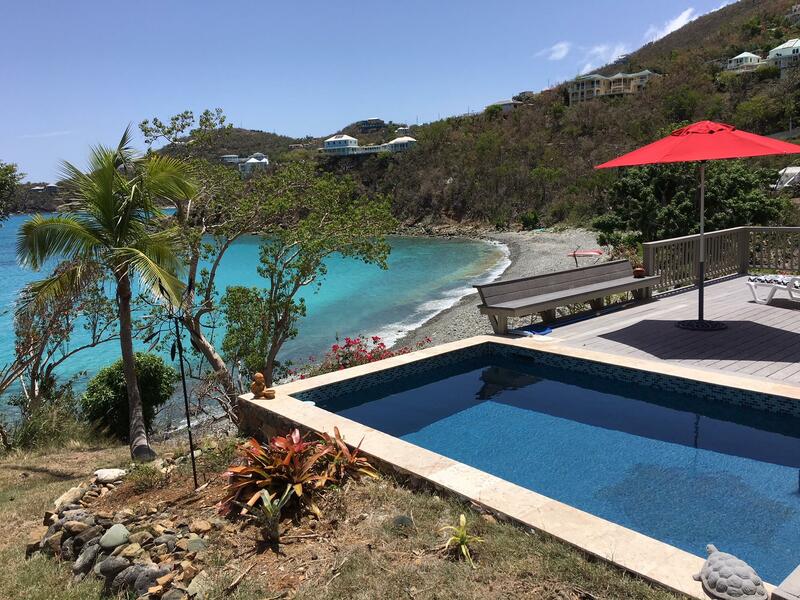 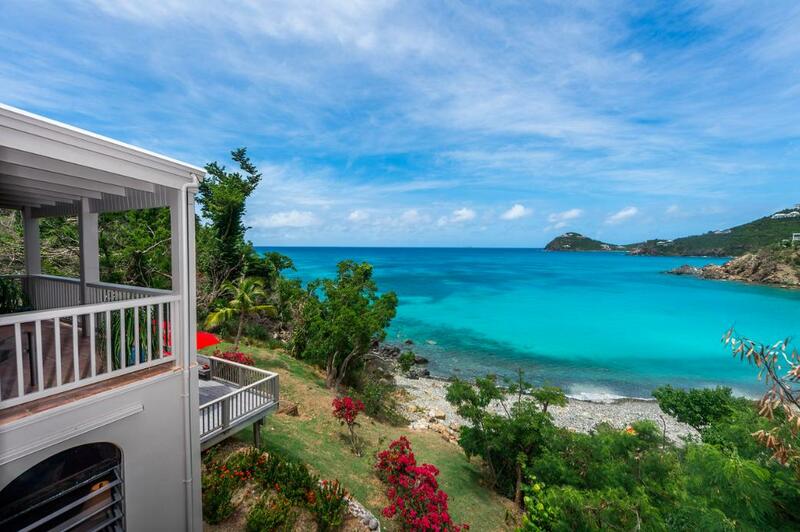 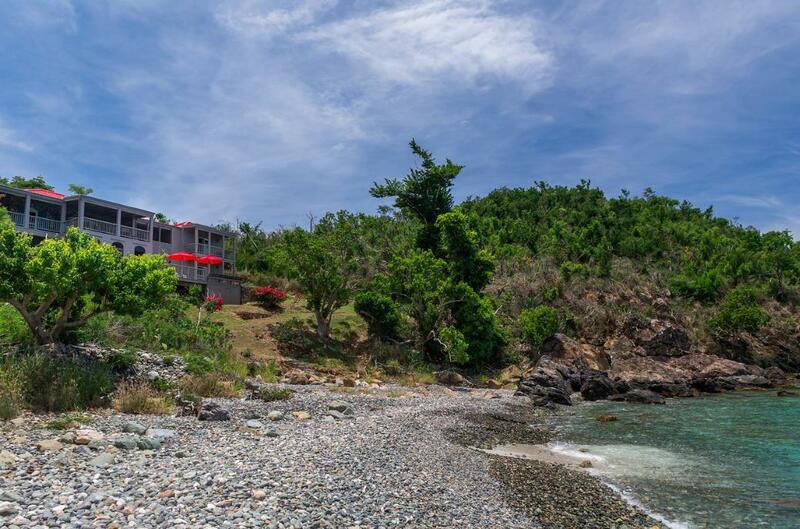 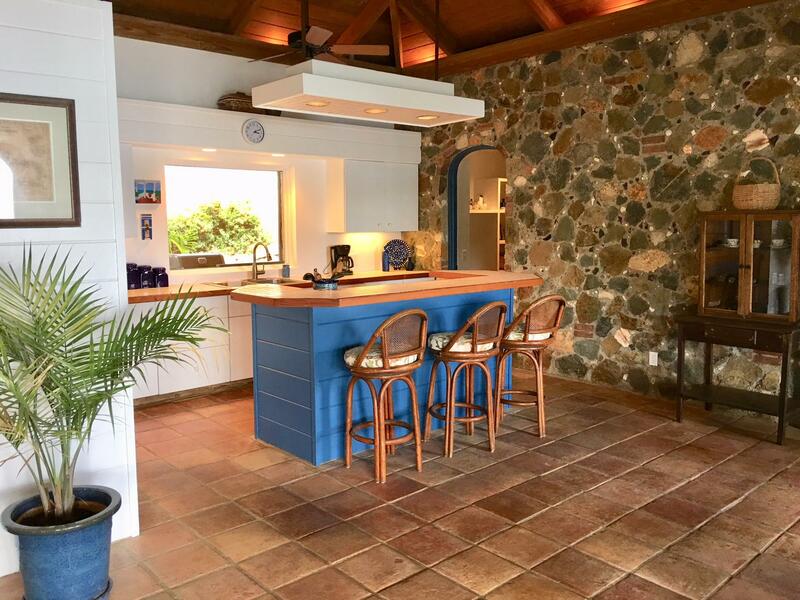 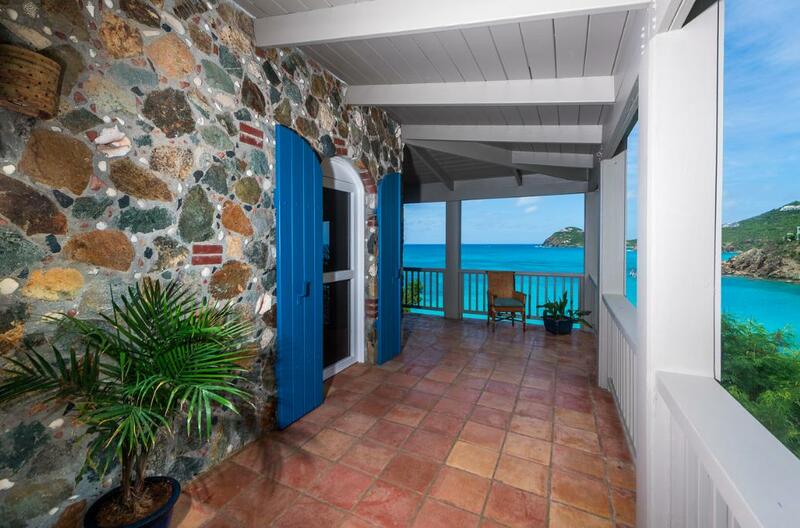 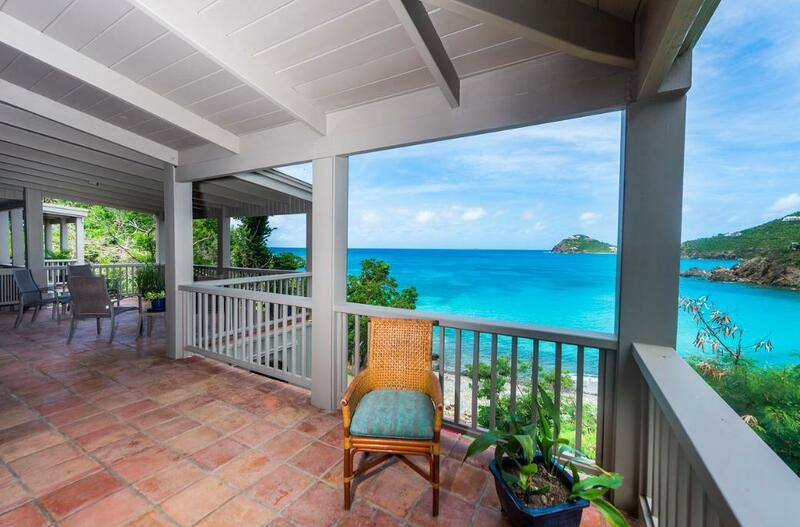 Everyone loves On the Rocks, it is truly a fabulous one-of-a-kind BEACHFRONT villa. 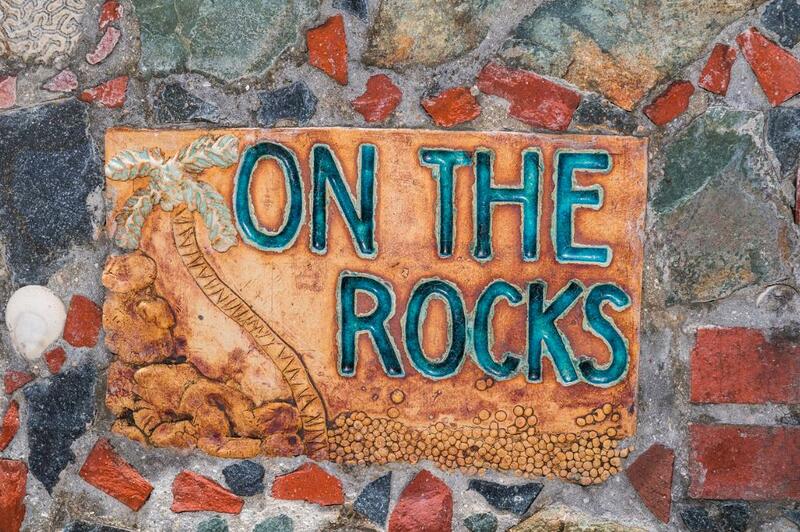 "On the Rocks" is the ONLY property in Klein Bay that goes down to the waters' edge. 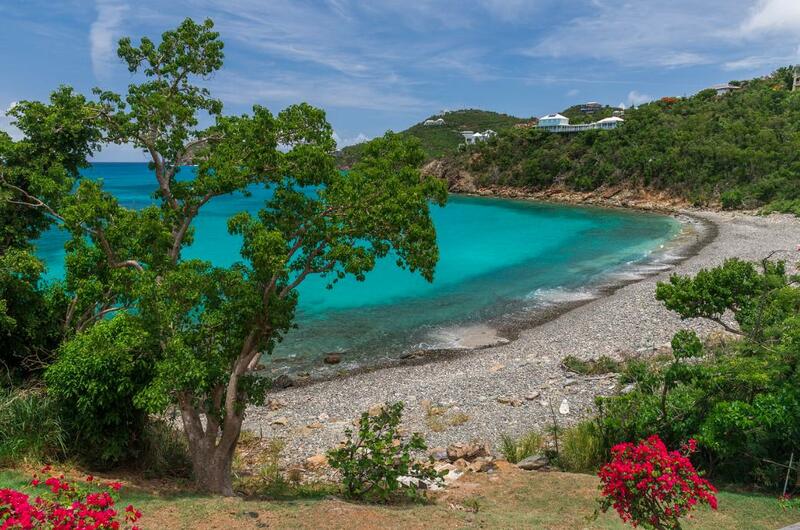 The rest of the beach is common property for the homeowners.